A Pair of Engraved Pink Champagne Flutes with Swarovski Crystal detail. The Diamante Crystal champagne flute set would make an ideal engagement, wedding or anniversary gift. 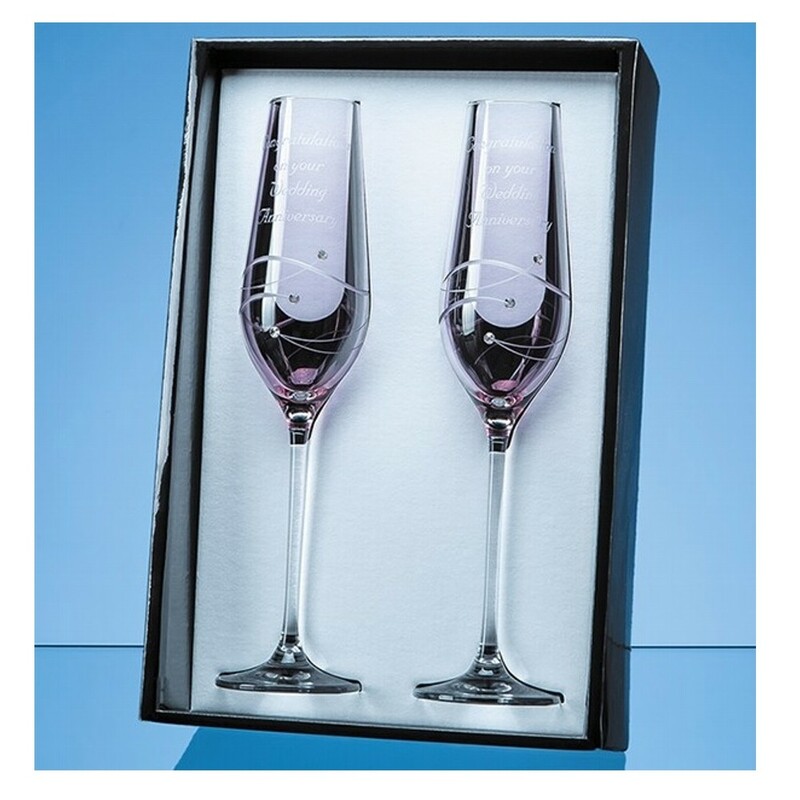 The set comprises of two elegant, long stemmed champagne flutes with a romantic pink tint, finished beautifully with a delicate spiral cut pattern lightly cut crystal that have 3 Swarovski crystals bonded to the side of the flute. They are packed in a blue high quality gloss finish presentation box and can be engraved with any crest, logo or wording to create a gift that is sure to be treasured by the recipient.